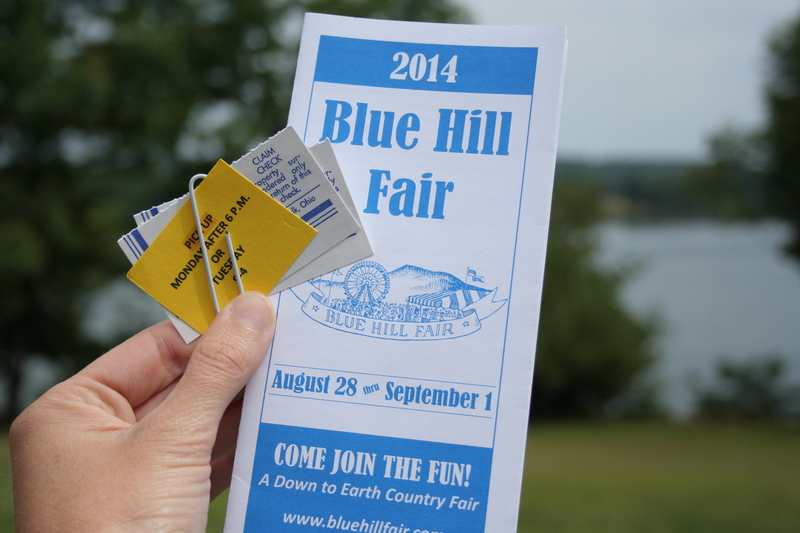 Yesterday I dropped two small, machine quilted wall-hangings at the Blue Hill Fair in Blue Hill, Maine. This is my first time ever showing anything at a fair, and will be the first public display of my quilts. I’m excited and nervous all at once! Entering my quilts in the fair was surprisingly simple. The website simply said to bring the quilts to the fairgrounds on the Tuesday or Wednesday prior to the fair. I sought out a woman from my church who is very well versed in the local quilt scene and active in the local quilt guild last Sunday, and confirmed the simplicity in entering quilts in the fair. I was worried about getting the quilts ready to hang or display and she gave me a priceless tip: they don’t need to have a hanging sleeve or dowel since they will typically display quilts with clips. That saved me a good hour of hand-stitching! It took only about five minutes to hand my quilts over and give them the necessary information. It almost seemed too easy, but I suppose when they have hundreds of people entering all sorts of handcrafted everything, efficiency is key. I went with my mother-in-law and aunt, since 1) they had been to the fair before and knew generally where the quilt display building was, and 2) it was about 45 minutes away so we decided to make a day of it with the kids at the local park and beach. 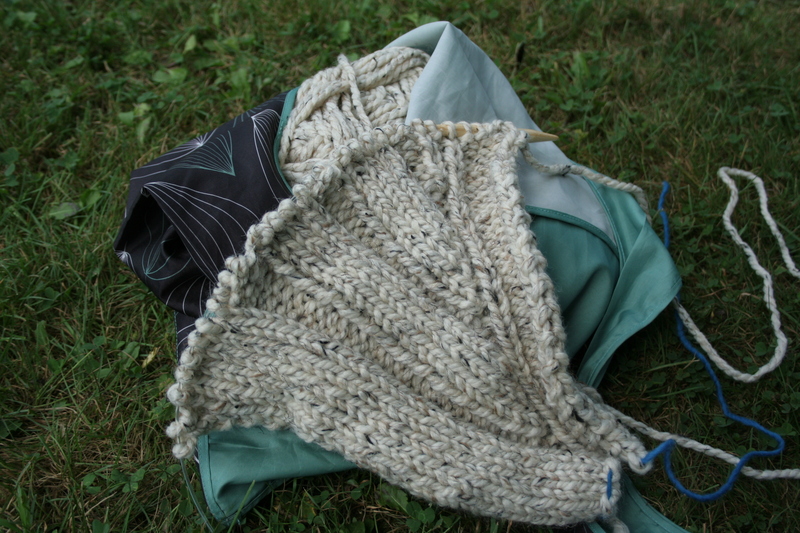 After submitting my quilts, we headed to Blue Hill Park for a picnic, and then the kids played on the playground while I got some rare mommy time. 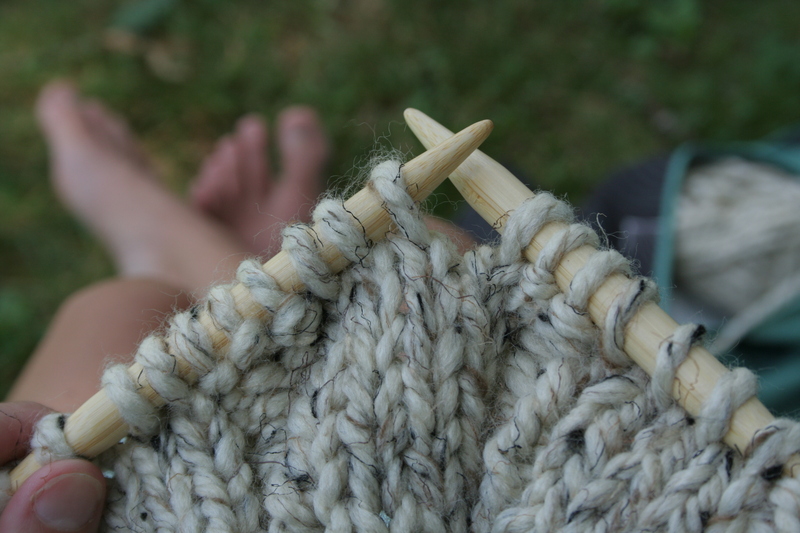 I sat in the shade and worked on the knitted Katniss cowl I’m making in exchange for a logo design, enjoying the cool breeze and the gorgeous view of the harbor. 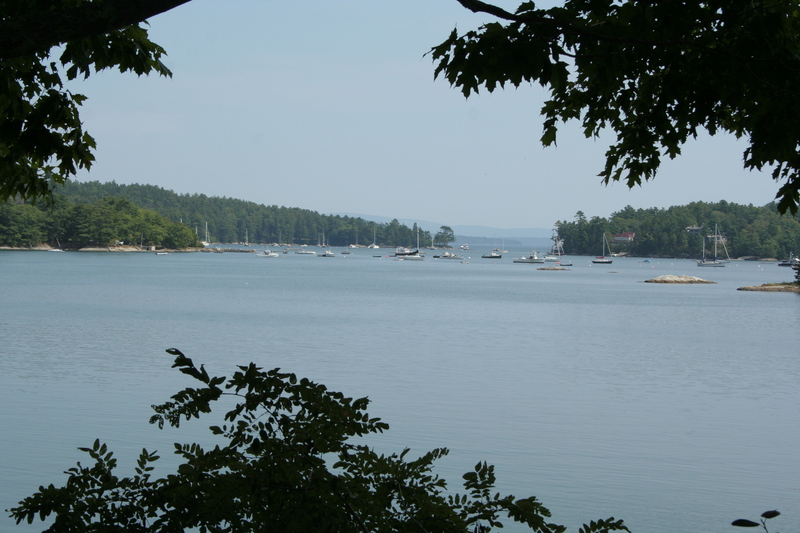 My gorgeous view of Blue Hill Harbor. 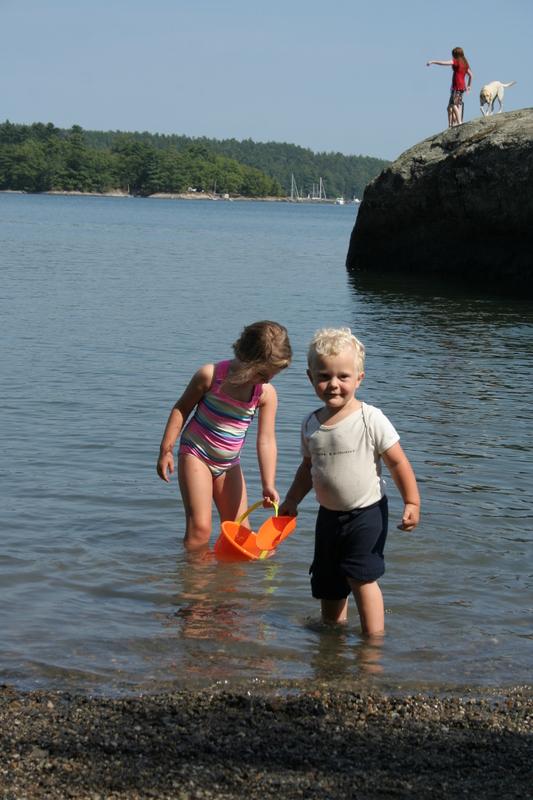 Swimming in the harbor at Blue Hill Park. 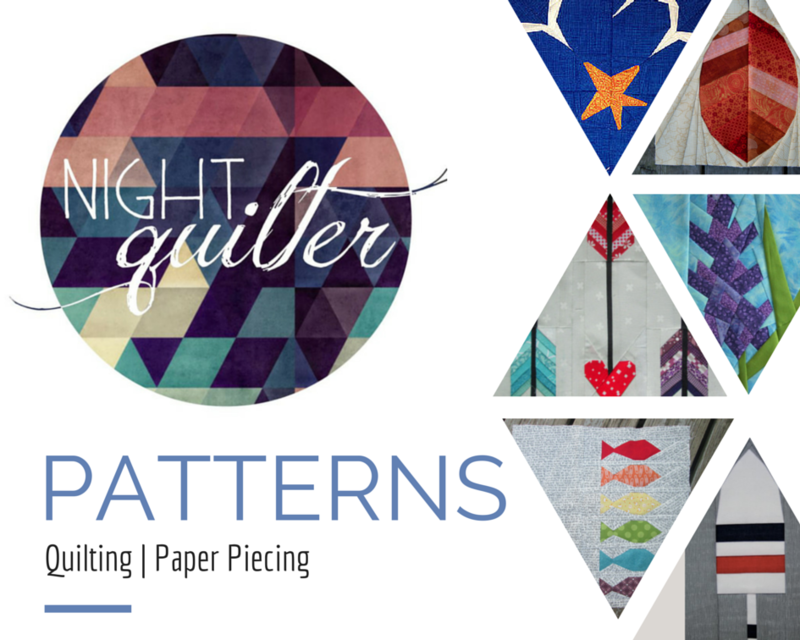 This morning I read a post by Yvonne from Quilting Jetgirl about her experience entering quilts in her local fair, and now I’m even more excited. I didn’t realize that judges actually filled out a score card and left comments about your entered quilts. 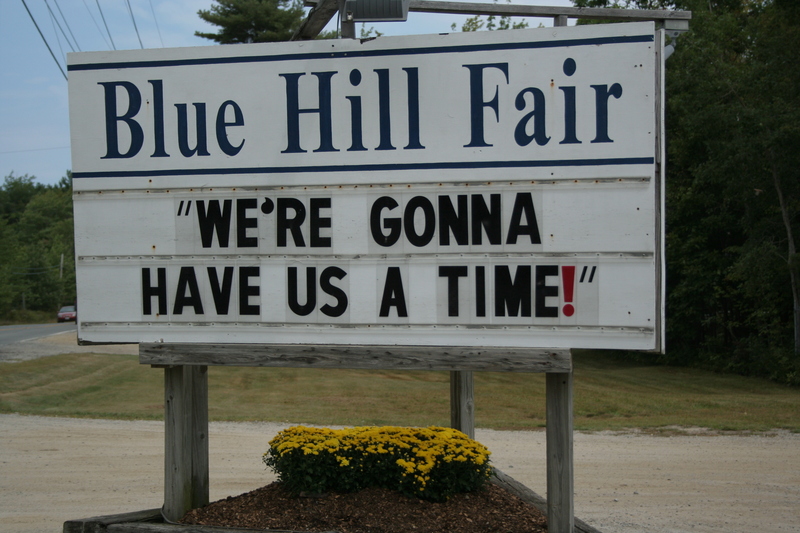 The Blue Hill Fair begins this evening and runs through Monday, September 1st, and I think my family will be going this evening. I will be sure to take photos of my quilts on display, and I’m eager to see the other quilts, too! As for what quilts I entered, you will just have to wait and see, since I didn’t get good photographs before drop-off. I’m sure they will be well received! Your work is always so stunning. Keep us posted! Your work is lovely. The photos at the lake are beautiful too. Good luck! !